Classic Lash extensions are the go-to for women who want to frame their eyes, making them look bigger, brighter and luscious. This technique delivers a flawless natural look, giving length to your lashes. This premiere experience starts in a tranquil environment, in our private consultation rooms. Our lash technicians attach one false lash to every single natural lash to achieve a fluttery effect. 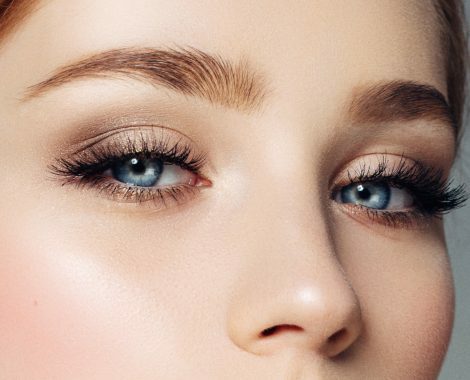 Classic lashes are great for someone who is starting out with lash extensions, or simply tired of putting on mascara, and just wants to wake up with a ready face. If your eyes could pout, it would look like Russian Volume Lashes. Lighter than Classic Lashes, they are applied as a 5:1 ratio, where one of your natural lashes will have 5 false lashes attached. This treatment dresses your eyes with a fluffy and full appearance, achieving either a natural or glam look. Our Russian Volume Lashes is an art form technique, as none of the lashes is premade in a group. At Bat Your Lash, we hand make each of our volume fans within the appointment, meaning that we can make genuinely bespoke lashes that bring out your desired shape and fullness. Your technician will take advantage of the weightlessness of the lashes to arrange either a natural volume, with two or three lashes to a fan to maximum volume sets of 5-6 lashes to a fan. This treatment is perfect for a glamorous, (even flirtatious) look for special occasions. What is the difference between Classic lashes and Russian Volume? Before you get your lashes in a not let us explain the difference. They are both beautiful and can be as natural or dramatic as you like. To make it simple, classic creates length as appose to fullness. Where as Russian can give you both length and volume. If done properly Russian is created to be healthier that’s to its light weight and technique. How long will the lashes last? Our eyelash extensions last the life of your natural lash (average 5-6 weeks). However, they will need to be painted with refills every 2-4 weeks. What are your lash extensions made out of? Yes! Extensions are individually attached to your own natural lashes, and never onto your skin. Our technicians are highly trained and have many many years experience in their field. A few of our technicians are actually Lash Educators and conduct student training. It is very uncommon, however it is possible. To decrease the likelihood of this happening to any of our clients, we use only use a sensitive glue. If you have any concerns about lash extensions or about having a reaction please contact us and we can discuss it with you prior to coming in. Do the lash extensions feel heavy? Nope. So light you won’t feel them. You shouldn’t, but guess what?….You won’t need to! The main reason why clients love their extensions so much is the time saved when doing their eye make-up. We advise against mascara because it will break down the adhesive, causing you lash extensions to shed quicker.